After reading Gone Girl and enjoying it, I decided to pick up another novel by this author. This one appealed to me because of the vague blurb and unique idea. It did no disappoint! The first thing I noticed was the change in perspectives and time zones. Half of the novel was written on the day of the murder by characters that were both alive and dead, whilst the other half was written in the perspective of Libby, during present day as she tries to unravel the mystery of that day. This was really creative because we got to discover what happened at the same time as the protagonist, resulting in a climactic reveal at the end. Speaking of the revelation, I wasn't expecting what occurred. It was completely unpredictable and I really enjoyed this factor. I had my suspicions but they didn't meet the reality of how the novel ended, which illustrates just how in depth and planned the mystery was. The ending held yet another plot twist. It concluded on a happy note which was nice because it brought us back to the beginning and came round in a full circle. The book felt complete and I liked that end to the novel. 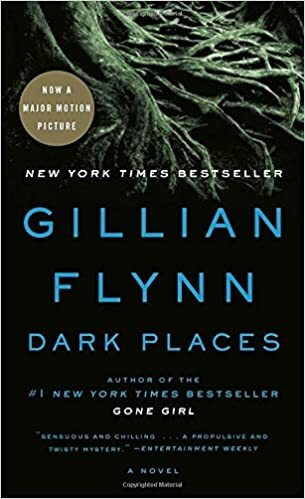 Altogether, I think that this novel was actually better than Gone Girl and is certainly underrated since it didn't get as much recognition or hype. The mystery was intense and the revelation of who killed Libby's family was exactly as it should be in a crime thriller. This is a must read if you're into action-packed crime novels!